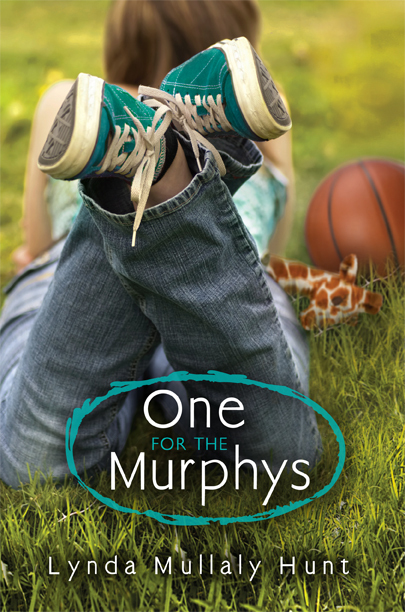 Last spring, one of my fifth-graders, Heavenly, spent all of recess sitting under a tree finishing the final chapters of Lynda Mullaly Hunt’s One for the Murphys. Strolling around the playground, I gave Heavenly a wide berth when I walked near her reading spot. I knew where Heavenly was in the story and I didn’t want to intrude. When Heavenly finished the book, she found me on the playground. I could see as she walked toward me that her eyes brimmed with tears. Remembering the ending and my own emotional response—and seeing Heavenly’s forlorn face—I began to sniffle a bit, too. Heavenly wrapped me in a limp hug and cried. While I patted her shoulder, Heavenly and I whispered back and forth about the book’s conclusion and our hopes for the main character, Carley Conners’ future. “Mrs. Miller, why do you always recommend sad books to me?” Heavenly asked. Like Heavenly, and many of my students over the years, I enjoy stories that make me cry—books that take me to heartbreaking places and bring me back again. As much as I love sad books, I often avoid reading them because I fear the overwhelming emotions that such books evoke. I am convinced this is why I didn’t read Phyllis Reynolds Naylor’s Shiloh until I was 45. There’s a dog on the cover—you have to know sadness sits inside, waiting for you. It should come with a Kleenex bookmark. Talking with my husband, we discussed the saddest books we’ve read and why we loved them. Sharing titles instantly brought us back to those hard places—life’s endings big and small. Heart-wrenching loss. Failure. Broken hearts. Regret. Goodbyes. It’s hard to capture the appeal of sad books. I think we just want to feel things. As Hazel says in John Green’s The Fault in Our Stars, “That’s the thing about pain, it demands to be felt.” We want to laugh. We want to love. And sometimes we want to feel pain, and walk away from it. Teri Lesesne captures why some books resonate strongly with readers at a personal level, “Sad” is a relative term when it comes to books (and probably movies, music, art, etc.). It seems to be in the “heart” of the beholder. For instance, Tomie dePaola’s Now One Foot, Now the Other touched me more deeply following my stepfather’s stroke than it did beforehand. But there are scenes and lines that reduce me to tears each and every time I encounter them. One is the final line from Bridge to Terabithia when Jess takes Maybelle to the kingdom he created with Leslie and declares, “Terabithians, behold your queen!” The simple one word phrase, “Manchee!” does it time and again when I reread The Knife of Never Letting Go. And I do not think I have ever made it through a reading of The Tenth Good Thing About Barney without a catch in my voice caused by the lump in my throat. Sending out an open call to readers who enjoy sad books, I received an overwhelming response. In today’s and tomorrow’s posts, we will share some sad books that will no doubt bring back your own reading memories and bring a few new tearjerkers for you to read. A timely and important story about the lead up to and aftermath of a cyberbullying incident that ends with an attempted suicide. This is a story that is important for adolescents to read, and is written in a way that will be engaging for them, so they will want to read it. There is a lot of emotion, drama, and family issues dealt with in this one book, but it deals with all of the repercussions of the actions and choices of the involved parties. 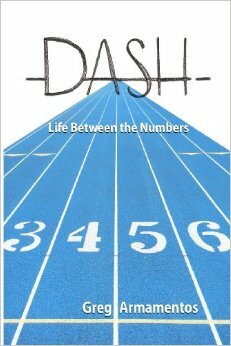 Dash by Greg Armamentos You know how it is. 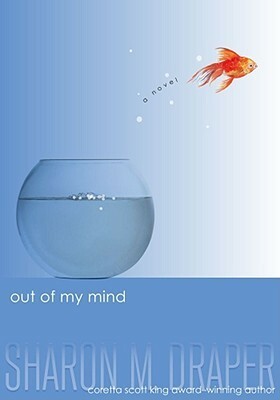 You’re in the middle of a heart-wrenching book about a young boy or girl with cancer. Far enough in that you have developed sympathetic feelings for the characters, especially the one with the disease. The author has done their job. They’ve written a few expository chapters to define the relationships among the characters. They’ve tugged at my emotions with the brutal, yet expected diagnosis. They’ve demonstrated why this character matters in the world, and now I need to prepare myself for the possibility they might just die. Dash (Dexter) is that character, and yes-he has cancer. That fact alone guarantees that I will cry at least once while reading this book. However, I found myself reflecting more on his sadness and desire to make a difference. Dash wants to be remembered for something. Don’t we all? First I should say that I am not a “crier” in real life, but with books I can tear up quicker than anything. I guess it’s my vivid imagination that got me into trouble as a kid. For Comfort Snowberger, growing up above a funeral home is perfectly normal. Death is just another part of life. When a stray dog the family named Dismay shows up, Comfort has the best friend she could have. Her “people best friend” Declaration is growing away from her and isn’t afraid to tell Comfort exactly why. When great-aunt Florentine dies in her vegetable garden, Comfort is expected to attend to her cousin Peach Shuggars. Comfort’s plans for a peaceful funeral are overturned as Peach is full of drama. As the family moves the procession to the grave site a flash flood catches Comfort, Peach and Dismay off-guard and Comfort must make some quick decisions about who to save and the repercussions her decision has on the entire family. 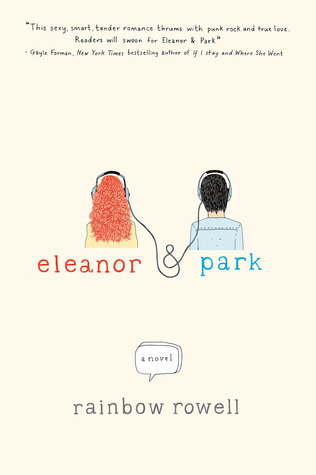 I assigned and read Eleanor & Park, by Rainbow Rowell, as one of the high school-level texts for my Literature for Children and Adolescents class, specifically because The American Library Association gave the book a 2014 Michael L. Printz Honor. There have been many Romeo and Juliet-esque books recently published for teens. While Rowell’s book is described as such, it is not overwhelmed with obvious similarities. Like Shakespeare’s classic, however, it embodies melancholy overtones that poignantly match the teenage years. Park is from a loving, two parent family – one that has called Omaha, Nebraska their home for a long time. He should fit in, but does not connect with the “morons at the back of the bus,” the all-white students who populate his town, or his own father, who seems to always be disappointed in him. Park is not like everyone else, especially in the unique things he enjoys: comic books, indie music, Eleanor. Eleanor is as different as anyone could be. She is a large, red-haired, awkward girl who “dresses like… like she wanted people to look at her.” Her life is a mess. She is estranged from her family. She struggles against bullying and abuse. Her life feels lonely and devoid of hope, except for her honors classes, her stationery box, and Park. Their love for each other gives each of them courage to face each day. It’s a bit of a family joke that a book that makes me cry also makes me happiest. And we’re not talking a few tears out the edges of your eyes crying here; I’ve been known to do the ‘ugly cry’ quite a few times over a great book. 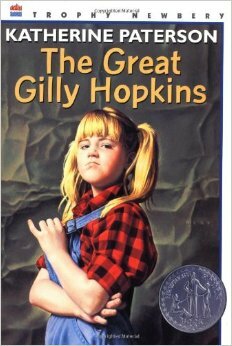 The Great Gilly Hopkins by Katherine Paterson was the first book that taught me the amazingly powerful experience of having a cry-until-your-nose-runs, embodied experience from reading a book. I was 9-years-old the first time I read about Gilly–the smart-mouthed, horrifically behaved foster child who torments her foster family, pining away for the idealized world of living with her ‘real mother.’ Gilly is not an easily likeable heroine, but we also know that Gilly has had an incredibly difficult life, shuttled between foster homes, schools, and with little knowledge or love from her biological mother. She mistreats the vast majority of the characters in the book—her teachers, foster mother, foster brother, and neighbors all receive her wrath. 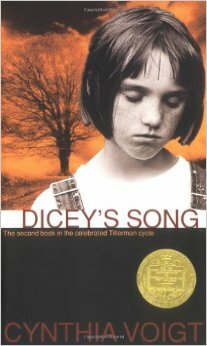 Though I’ve loved every other one of DiCamillo’s books, for some reason I never read this 2006 award-winner. Something about the “adventures of a china rabbit” didn’t quite grab me. Maybe I’ll read it to my kids one day, I thought. Surely there’s nothing in there I’d connect with. I couldn’t have been more wrong. I picked up this book because of a student. Not a student like the main character, Melody, but a 5th grade student enjoying the book. While in the classroom I tried to pay attention to the books my students were reading (even though I taught Science) because this would allow me an opportunity to talk with them and connect – a commonality they could “see” as they caught me reading, saw the book on my desk, or after I finished the casual comments on how I had read the same book and the conversations that ensued as they progressed chapter by chapter through the book and shared their thoughts and feelings. The author drew me in immediately – the main character’s fiery nature tugged at my heart as I was reminded of various struggles and triumphs. I felt the emotional rollercoaster that was her life. I cheered every success and got angry right along with her at the exposed injustices she endured. As they started reading, the other groups quickly grabbed their books so they could get to the next chapter. Soon the room was quiet, with only the whispery sounds of pages turning. Until…a scream broke the silence. The students jumped in their seats. 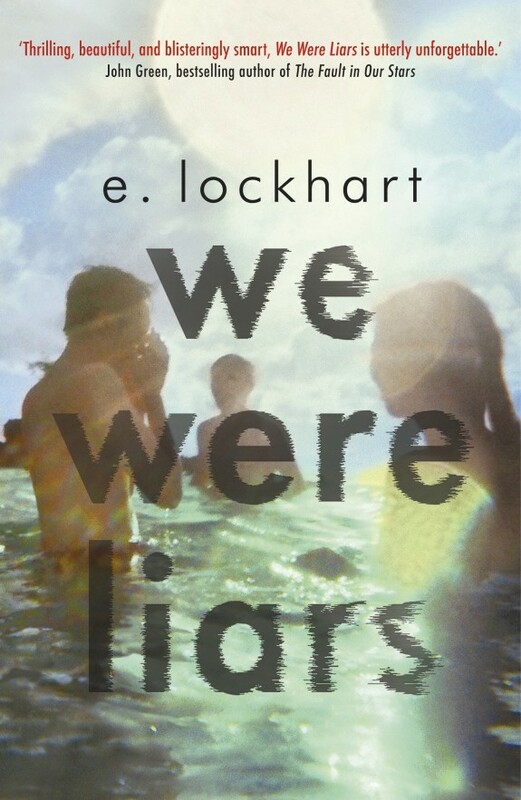 The girl reading waved them off, saying, “I didn’t see THAT coming!” and went back to We Were Liars, but it only last for a moment. Thank you to everyone who answered my open call for sad book responses. The second round of responses will appear in tomorrow’s post. I invite you to respond in the comments with your favorite sad books to read and share. Dicey’s Song! I had completely forgotten about that book but I so loved it as a teenager. You’ve sent me off on a trip down memory lane – thank you! What a wonderful post, Donalyn! You say some books, …”should just come with a tissue as a bookmark….” I couldn’t agree more. Sometimes a sad book, like a sad movie, is just what the doctor ordered. There are plenty here that I have cried a river over, and many more I’ve yet to read. I can’t wait to see which titles make the second list. PS We’ve only met once, but if the stack of books we hold close to our hearts is this high, I feel like we are already the best of friends. I love books that make me cry. They tug at my heart and stay with me. it is not unusual for my students to see me tear up as I read to them. I simply tell them that a well written character is a like a good friend; I become invested in their life. I love when I see my students caught up and touched by characters they meet, too. I can never read Faithful Elephants aloud without crying. LOVE this list, and especially loved being reminded of an old fave, Dicey’s Song. (Anyone remember IZZY, WILLY-NILLY from that same era?) Matt de La Pena’s books always give me a lump in my throat, but none more than WE WERE HERE. A must read for all YA fans! Missing May by Cynthia Rylant and Love that Dog by Sharon Creech are two wonderful books that bring me to tears every time. A Monster Calls was an “ugly cry” book for me but I’ll tell you – Stone Fox is right up there! 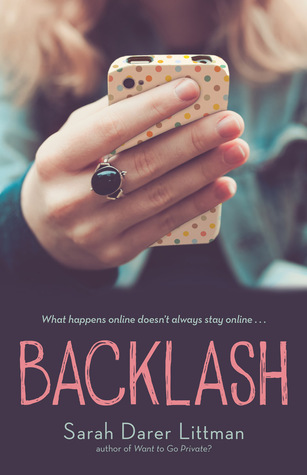 Was a little disappointed to find out that Backlash doesn’t release until the end of March – might be a good idea to indicate that if recommending books that aren’t out yet. Just a thought. Hi Jen. Totally agree with you about Stone Fox. Will add a release date for Backlash when I get a chance. I’m not normally the kind of person who likes to cry from books, which is why I’m probably the last holdout to read The Fault in Our Stars (though I can see my copy from here). That said, two books in recent memory have made me do the ugly cry: Chris Crutcher’s Deadline and Jenny Downham’s Before I Die. Both are about terminally ill teens and are utterly heartbreaking, yet so, so honest, which makes them both beautiful reads. It’s a picture book, but I can’t get to page four of Dog Heaven by Cynthia Rylant without becoming a sodden, sobbing wreck. And yes, Manchee : ((((((( Clearly I have major dog issues. I recently read All The Bright Places by Jennifer Niven – that book probably goes to the top of my list of crying books!! Lovely books, and thanks for those new to me, too. Love seeing Dicey and Gilly here-old favorites-still great! Not sure if anyone still reads it, but never ever try to read “Where the Red Fern Grows” out loud. That is one of my favorite books! The first time I read it to my fourth-graders, we all cried! One of the kids asked if we could have some quiet time afterwards just to pull ourselves together. I will never forget that day even though it was 20 years ago! I’ve only read We Were Liars and Eleanor and Park from this list, but if the others are anything like these two, I would absolutely love to read them. Thanks! This may be out there (my husband says that I can cry at just about anything), but whenever I would read Charlotte’s Web aloud to kids I had to have the Kleenex box handy. The line “Charlotte died alone” got to me every time! Thanks for the great post! Great List! 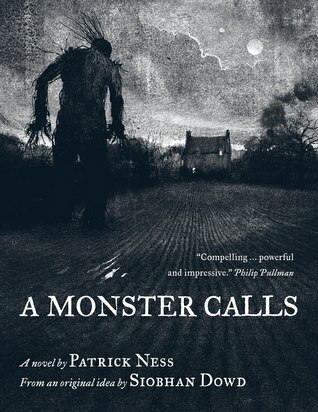 A Monster Calls in completely new to me. On a waiting list from our out digital library. I need to start a new list of TBR – both new and old favorites. I was going to try and stay with reading as many new books this year as possible but just can’t do it – looking back to books I have missed is just to much fun! Thanks for starting this list. Many thanks to Donalyn for this post and to all who contributed. 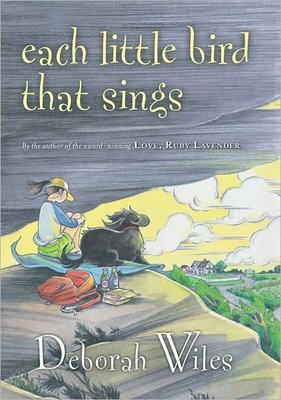 It was so fun to revisit memories of those “weep worthy” books I’d already read. I’m even more excited about the new titles I can get busy reading. Thank you for sharing this list. A Monster Calls & One for the Murphys are both serious contenders for me as to the top “crying” books. However, Jo Knowles’ See You at Harry’s would be my #1 cry. I don’t want to spoil it but as a father, this book resonated with me. I was reading “the scene” in class during Independent reading time and I just gasped and the tears started flowing – and students saw my reaction. I had to stop, put the book down, and just get myself together. It is definitely a Kleenex kind of read. Love this post! Every Spring I put up a display of “Books That Will Make You Cry” with tissue boxes near by. Pink and Say by Patricia Polacco always gets me in the end. It takes me a LONG time to pick up a “sad” book. You see…I didn’t read the end of Tuesdays with Morrie…you know why. Sigh… such a big wimp. I have an even tougher time reading books about animals dying…which makes me feel SO guilty…I can’t handle an animal dying in a book but people are ok? Yikes. BUT…I’ve never been disappointed after reading such books. It makes us feel SO many emotions, yes, sadness, of course but also grateful, empathy, hopeful, love…but most importantly a part of the human race…we are not alone, we are all connected. PLEASE keep sharing these books..it’s so necessary, so important. I want to point out that when I was introduced to sci-fi by a colleague, I immediately went to her and said, “Sci-fi makes you go there.” She smiled at me and only said,”Yep.” Don’t forget to encourage THOSE type of sad books, too, like A Wrinkle in Time. Some of my faves: The One and Only Ivan, The Miraculous Journey of Edward Tulane, Looking for Alaska, The Hunger Games, The Fault in Our Stars. Eleanor and Park. The Book Thief. Jean, a Chicago Theater, Lifeline, adapts books for the adult and children’s productions. They are presenting The One and Only Ivan this late winter/ spring. So looking forward to seeing it. I need to add here that I CANNOT read these books before I fall asleep which is my nightly routine. My children captured me with mouth hanging open and book on chest…I tore it up instantly. back when we still printed pics. I count on other books like Harry Potter to help me fall asleep. Unless, of course, I’m at the end and have to stay up finishing them. This is why I have three to four books going at the same time. One audio, and three with real paper. Happy (or sad) Reading all!! I sobbed at the conclusion of Wendy Mass’ Jeremy Fink, and wept throughout sections of Wendelin Van Draanen’s The Running Dream. Amber McRee Turner’s Circa Now, and Sharon Draper’s Out of My Mind, each wrecked and rebuilt me. Finally, Kate DiCamillo’s Miraculous Journey, delightfully led me through heartbreak and redemption. Dash’s story made the list – Books that Make Us Cry. My boys begged for sad picture books for years! Favorites were Velveteen Rabbit and the gorgeous Roxaboxen. 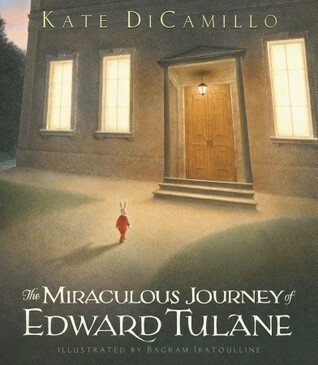 Then Kate DiCamillo’s Edward Tulane changed our lives – we all cried and loved together. Now the boys are reading The Crossover. The love of reading (and the love of feeling deeply) never seems to fade. Thank you for all these wonderful books! My all time favorite “sad” book is Walk Two Moons by Sharon Creech. Multiple parts that bring me to tears every time I read it. Every time I read Freak the Mighty to my 6th graders I cry. One year someone said, “why are you crying?” Another student replied, “because it’s sad, don’t you get it?” It often surprises me when we see some students with little empathy for characters we’ve been spending time with. I also get emotional when I read Edward’s Eyes. It’s such a beautiful family story. In reading the “sad book” and “ugly cry” reviews, when I came upon Each Little Bird That Sings, I was immediately reminded of my first classroom collective sigh of sadness. Comfort brought together a group of unruly 5th graders as they saw themselves reflected in the characters and collectively cried for the loss. Their hearts were transformed as we then read obituaries of people in the Austin newspaper. The response I remember most vividly was a group who journal ed about a baby who died to soon. Students embraced their whole self as they journaled their own Life Notice, as Comfort did choosing to see the good side of all. The book impacted our class’ unruly side, changed us together, made us more aware! Good list! Have you read A Hole in the World by Sid Hite? Also a tear-jerker. I lose it every time I read Where the Red Fern Grows or Bridge to Terabithia aloud with my students. So many of my favourite books are on this list. The Great Gilly Hopkins and Bridge to Terabithia are near the top of mine. A couple of my more modern choices include Jordan Sonnenblick’s After Ever After, and The Meaning of Maggie by Megan Jean Sovern. So many great books here, I have read many and reveled in the many feelings they left me with. I often feel sad/annoyed when friends tell me they do not want to read sad books…I feel I get so much out of the sadness and how these characters rise or deal with their circumstances. I read a new book that you must read—It is young adult and a debut book— All The Bright Places by Jennifer Niven and it is so so sad but really gives insight into death, mental illness, and love. I read it on my kindle but ran out immediately to get a copy to share with 2 friends who read sad books. Great post!. I bought All the Bright Places, but I haven’t worked myself up to read it. Will soon! Oh my goodness, Donalyn! Move it to the top of the TBR! That book….I just can’t say enough about that book. You will definitely cry, but what you are left with is just so much more. Just finished reading Wonder by RJ Palacio to my children and had to keep stopping to wipe my eyes. Planning to read it to my 10th graders next. Beautiful story of inner strength and redemption and empathy. Love! Thank you so much for your list of books! My to read list is forever growing! The Rock and the River by Kekla Magoon brings the tears slowly and then, suddenly, without notice, you find yourself ugly crying. It’s the empathy she causes you to develop for the characters that makes you lose it. Love all of her writing. And I love this list, too! Thanks for sharing. One For the Murphys is my latest but my all time tear-jerker is Petey by Michalsen. Can you believe I have actually never read any of these books!?? That’s crazy to me, but I’m a total baby and would probably bawl the whole time, so I guess it makes sense! There are quite a few books that make me cry, The Hobbit, Anne of Green Gables, Bridge to Terabithia, I couldn’t even finish it, A Single Shard, Homesick: My own Story, Island of The Blue Dolphins, and Black Beauty. I love every single one, I read them over and over again.